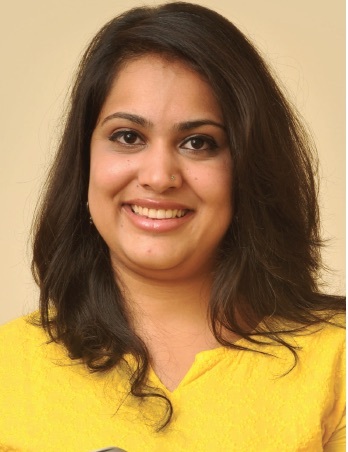 Mileha Soneji is from Pune, India. She moved to Delft, Netherlands to study product design and invented prototypes for two ingenious, yet low-tech products to make life with Parkinson’s disease easier – the ‘staircase illusion’ and ‘No Spill cup’. She gave her TED talk ‘Simple hacks for life with Parkinson’s’, in 2015. 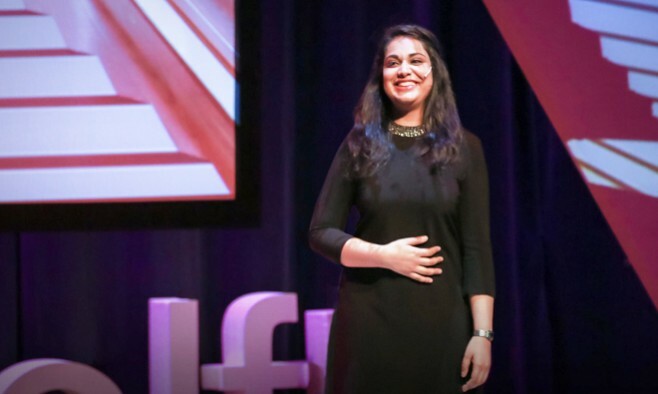 Mileha Soneji’s powerful TED talk describes how her uncle’s worsening Parkinson’s tremors and unsteady gait kept him house-bound. But determined to find a way to help him, she invented two highly conceptual yet low-tech products that have given him his independence back. 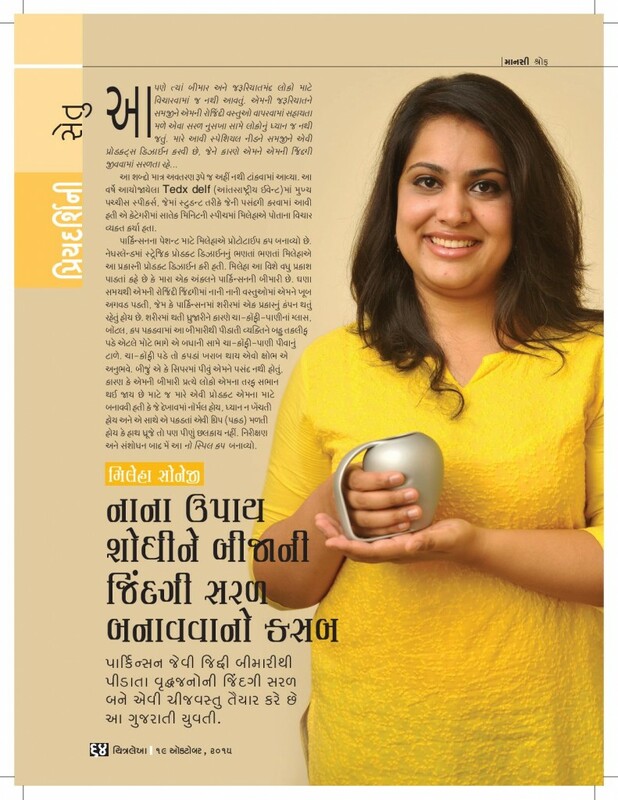 In this exclusive interview we speak to the 26-year-old about her ingenious optical illusion that got her uncle walking again, a special cup for people with tremors that doesn’t spill, and her plans to change the way the world designs products for people with special needs. In your TEDx Talk you speak very fondly of your uncle. At what age were you when you were aware of his Parkinson’s disease and how did you react? I was about 18 when I got to know that he had Parkinson’s disease and, of course, I saw his symptoms getting worse over time and that it affected him a lot – especially his tremors and gait. Then, while I was studying design, I took a course called ‘design for special needs’ and that’s when I decided to help him in whichever way I could. Tell us about the level of Parkinson’s support and treatment options in your uncle’s region of India? There are now some organisations that do dance and yoga classes specifically for people with Parkinson’s disease and there are also forums where they can meet up and speak about problems. However, the condition still isn’t that well known. Why do you think that your uncle didn’t like to be seen much in public as his symptoms became more pronounced? I think he began to retreat from public life because he didn’t like people asking about what was happening to him. Although he knew they all meant well, he felt like they pitied him. And it’s not just my uncle who felt like this. I know for a fact that a lot of people living with Parkinson’s are worried they may draw unwanted attention to themselves in public by spilling their drinks because of their tremors. Because of these issues they prefer to stay in the background or even just stay at home. When you were researching your ‘staircase illusion’ did you find that something similar had been used to aid walking before? And if so, what had it been used for? The idea for the ‘Staircase illusion’ just came to me one day after a visit to my uncle’s. I noticed that he was moving with difficulty. On flat ground he walked jerkily but when it came to climbing up and down stairs he walked much more smoothly. From that moment of realisation I thought why not try something like an optical illusion. I ran home to piece something together for him. It’s really low-tech – just black and white sheets of A3 paper that I stuck together with tape. When I put the illusion on the floor for my uncle to use, we discovered that, yes; he walked more smoothly across the area where the illusion was placed. Later on in the process I found some videos where showing that a straight line drawn on the floor helped people to walk in a straight line. I thought, yes, this evidence is related to my own findings. Tell us about the science behind your ‘No Spill’ cup. I was already looking for solutions for holding cups, again because of my uncle’s problems. Parkinson’s tremors often cause liquids to spill out of cups, so my ‘No Spill’ cup has a curved shape at the rim and opening, which actually deflects the liquid back into cup rather than it simply spilling out. It features other small details to help people with tremors. The handle is much bigger, with a wider base so that hands can slide in more easily and there are small grooves for extra grip at the fingers. Are there any plans to market your products to people with Parkinson’s worldwide? I’m now getting a lot of requests for the cup and I’m looking for ways to start the mass manufacture process. I have a website where people can get in touch with me if they are looking to start selling them. I’d really like it to go global one day! How does your uncle use these projects in his day-to-day life? My uncle has now had an operation that has helped his gait, but before his operation he did use the staircase illusion often. However, he wasn’t willing to put it in his living room where it would be seen by all of his guests when they came round – as an obvious signifier of his special needs. But he does have it on the floor in his bedroom, where only close family can see it. Issues like this are very important when trying to design new products – people with special needs really want inconspicuous products. Why do you thing that simple, low-tech design solutions can sometimes be more effective than high-tech devices? My belief is that to reach out to people with special needs we really need inconspicuous products, which can often be provided by really simple solutions. Trying to get older people, who don’t necessarily like technology, to use a new digital device is mainly based on changing their behaviour and attitude, but inclusive accessible design is for everyone. How do you think clever design can be used to aid people with chronic conditions in the future? I genuinely believe that any new product design should keep people with special needs in mind. That way it can be used by everyone, not just the able-bodied. I’m currently working in strategy design at VanBerlo and have a research paper in the pipeline with Dutch neurologist, Dr Bastiaan Bloem on two- and three-dimensional perception in people with Parkinson’s, which came from my staircase illusion. It’s so crucial to bring all aspects of inclusivity and accessibility into the design of new medical products to build a smarter world, but with simplicity. Mind games: can this new gaming app help Parkinson’s patients track symptoms?